I thought that Spring was here, but apparently I thought wrong considering it snowed a little earlier today and it's 28 degrees. However I still figured I would check out some blazers, coats and practically any jackets that I would definitely wear at this point of time and for the future. So I decided to website stalk Asos. Unfortunately, a lot of the styles that I wanted were extremely out of my price range even though I know that I would wear them faithfully everyday...that is if I actually purchased one of these jackets. I love the floral print of the blue blazer above. I could dress it down or dress it up. 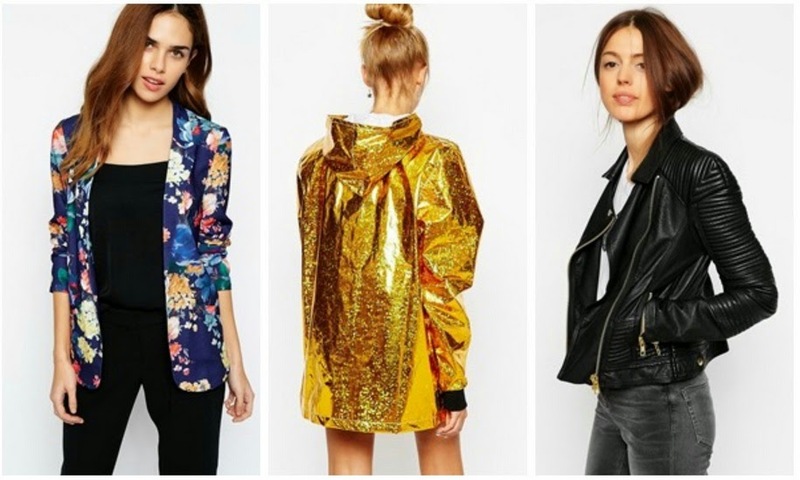 The golden rain hoodie is a bit flashy for me, but I would love to see it sparkle as rain hits it on a rainy day. As for the biker jacket, the detail is ridiculous. I would wear it with anything. The black and white floral blazer is everything. I would rock that entire suit, but this is dedicated to only outerwear from Asos. 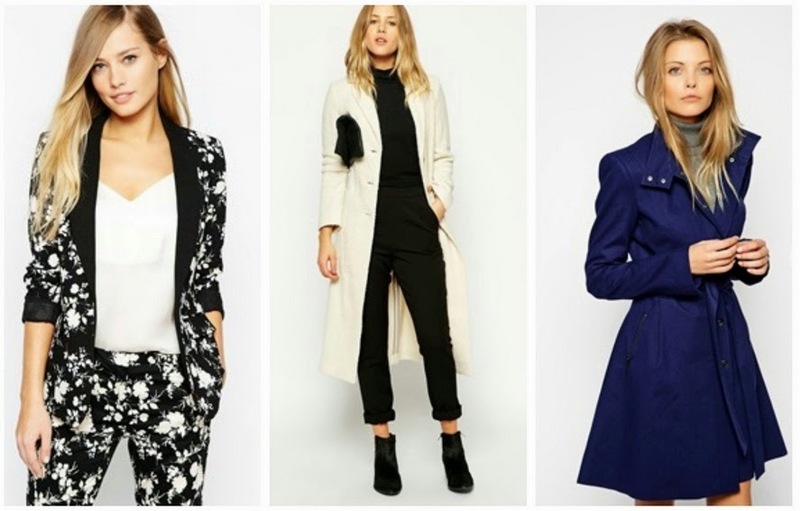 The long white coat is perfect for people who are not into short coats and it's professional. It could possibly be hard to keep white though. The navy blue trench definitely gives the wearer a great figure when tied at the waist. I also love the way the model has the collar standing up at a slant. I do not own anything holographic, but I would love to! It has such a whimsical appeal. The leather jacket with the faux fur collar is hot. I WOULD WEAR IT ALL DAY IF I COULD!! The way the model is wearing the beige short sleeve trench is exactly how I would wear it. Also, to me it looks like something Zoe Kravitz would wear. I love the color of this wool coat and the actual make of it. It's very professional, but the color adds a bit of a feminine side to it. The sky blue rose print coat is gorgeous. You could wear it over a dress or over something casual like a t-shirt and a pair of jeans. 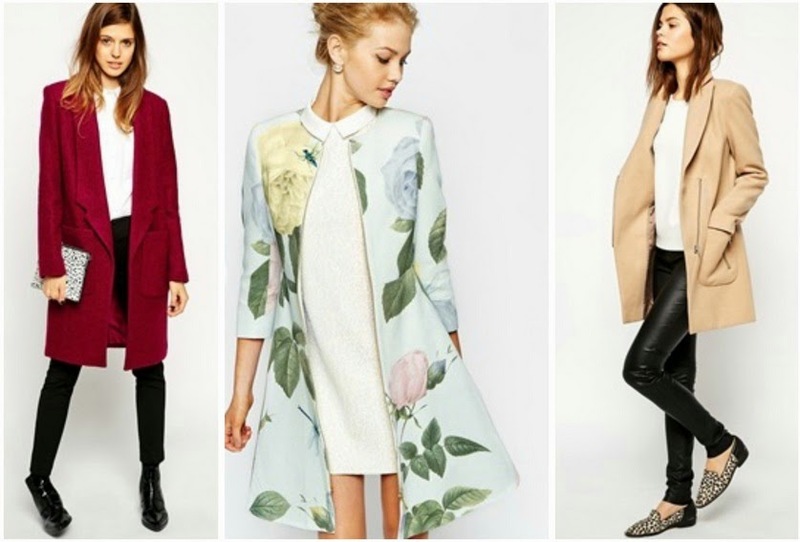 The beige petite coat would be great for any occasion. It's simple and classic. I honestly just want the Bambi jacket because it has Bambi on it. Let me be biased and say I pretty much love anything Disney themed. I also love anything plaid and this black-red plaid coat gives me a Devil Wears Prada feel. As for the red embroidered jacket... it's different and it reminds me of something I've seen as a child or maybe even worn as a child. I really like the overall design of it though. So what do you guys think about these pieces?